Super fund investments fell in April, according to superannuation research firm SuperRatings. Superannuation funds were “hit by difficult investment conditions,” said SuperRatings (PDF), with the ‘median balanced fund’ falling by 0.4% in April. 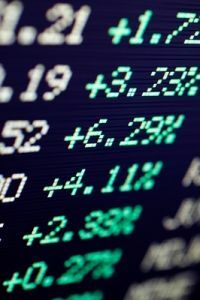 “Despite the loss for Balanced funds, it was still a good result compared with the falls across most major asset classes in April,” said SuperRatings founder Jeff Bresnahan. “The wide range of assets in a Balanced portfolio are doing exactly the job they are designed to do, spreading the risk and protecting members savings during challenging investment conditions,’’ he said. The investment loss in April is only the second monthly drop in the 2014/15 financial year, with a 0.6% fall in September 2014. “The median financial year to date return sits at a healthy 10.6 per cent. This time last year, the median return was 11.1 per cent and went on to produce a full year return of 12.7 per cent,” said SuperRatings. Note that SuperRatings defines ‘median balance fund’ to mean super funds invested in a ‘balanced’ option of between 60% and 76% growth assets. SuperRatings says 60% to 70% of Australians have their superannuation invested in the default investment option, which is most often the ‘balanced’ option. Returns are calculated net of fees and taxes. Super funds were down in April, with the median growth fund (61 to 80% growth assets) losing 0.4% for the month. However, they remain well on track to deliver a sixth consecutive positive financial year, with the return over the ten months of the year to date standing at a very healthy 10.9%.